Rabbi Yitzchok Adlerstein wears many hats, some of them unusual for a black-hat rabbi. At heart, he is a Torah teacher. He received his semicha from the Chofetz Chaim Yeshiva in New York, graduated from Queens College, and had originally moved to Los Angeles thirty seven years ago to teach Torah at a program for advanced baalei teshuva. After the program closed he was offered a job as director of interfaith affairs at the Simon Wiesenthal Center — a global human rights organization focused on defense of the Jewish people and the State of Israel. Rabbi Adlerstein’s job involves building relationships with people outside of the Jewish community whose friendship is crucial for the State of Israel. Most of them are religious Christians. In addition to writing for the general media, he directly targets Christian publications. His goal is to gain respect for the Torah and for the State of Israel among the general population. Rabbi Adlerstein feels that the chief mission of a Jew today, unique to this generation, is kiddush Hashem. Such work often leads to personal relationships with the leaders of Christian communities. Over the years, many non-Jews have been guests at the Adlersteins’ Shabbos table, where they are introduced to Torah life. Rabbi Adlerstein finds it refreshing, especially in the current anti-Israel media climate, to meet wonderful people outside of the Jewish community who work tirelessly to protect Jews and the State of Israel. Rabbi Adlerstein feels comfortable doing this type of work because he has the safety net of halacha that delineates ways to work with non-Jews while remaining separate. 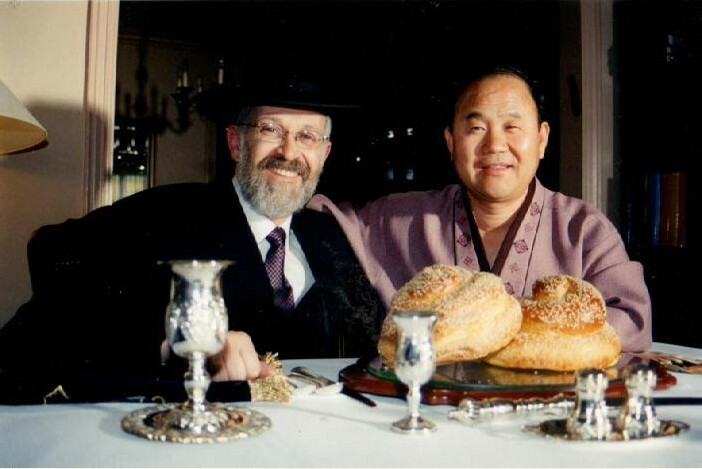 His children benefited from diversity at the Shabbos table. Rabbi Adlerstein relates that his son, at age twelve, once successfully debated two very bright Jesuit professors on the subject of G-d and science. The children also saw how fortunate they were to have Torah which provides concrete ways to connect to Hashem. Another one of Rabbi Adlerstein’s jobs is teaching Jewish Law at Loyola Law School. Rabbi Adlerstein was offered the job after he debated Professor Laurie Levenson, the associate dean of Loyola Law School at the time, at a kiruv event. 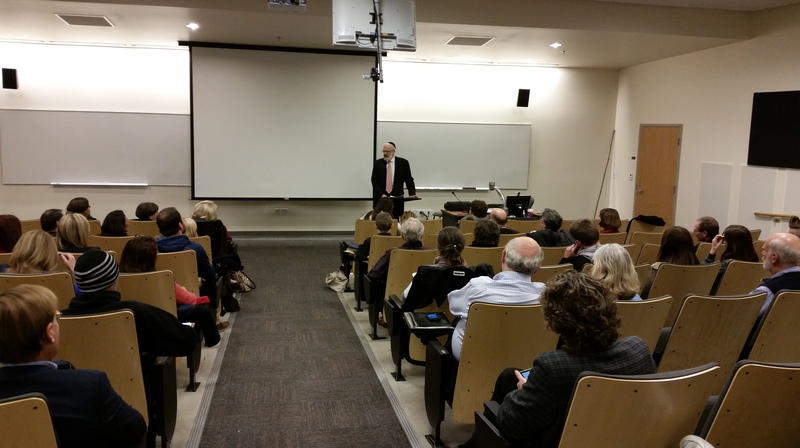 Most of Rabbi Adlerstein’s law students are secular Jews, and many are not Jewish. Rabbi Adlerstein enjoys teaching Torah using a different vocabulary and putting it in a western framework. He aims to show the students the depth of Torah. Jewish students find that Jewish law resonates with them. Often, they have the spirit of the law, the yearning for spirituality, but no meaningful way to express it. Jewish law allows them the opportunity to encounter the Ribbono Shel Olam in ways that are not arbitrary, but well defined. They quickly understand that the power of law can apply to shaping one’s character and that a person becomes who s/he is by what s/he does. For many, just the exercise of attaching oneself for a while to something Jewish is beneficial. Some choose to go further and explore other areas of Judaism. Rabbi Adlerstein also teaches Torah in more traditional venues, but the bulk of his teaching currently takes place through writing and publishing. He is the author of two books, one on the Maharal’s Be’er Hagolah and the other on Nesivos Shalom of the Slonimer Rebbe. The latter is a compilation of Rabbi Adlerstein’s online advanced parsha classes at torah.org. He began teaching the inspirational book, Nesivos Shalom, after a student introduced him to it and he saw that the sefer was taking the frum world by storm, just like Michtav Meeliyahu had done back in his yeshiva days. In fact, Rabbi Adlerstein recognized that these two books are the mirror image of each other. In Michtav Meeliyahu, Rav Dessler took kabbalah and turned it into mussar. In Nesivos Shalom, the Slonimer Rebbe took mussar and turned it into chassidus. Rabbi Adlerstein has also taught the writings of Rabbi Shimshon Refael Hirsh, the Netziv, Be’er Mayim Chaim, and Be’er Yosef at torah.org. He says that he is thrilled to live in a generation where he can influence thousands of people over the internet. Rabbi Adlerstein is the founding editor of an influential frum blog, cross-currents.com. His posts are directed to the section of the frum community that find themselves to the right of Modern Orthodox and to the left of Chareidi. Rabbi Adlerstein finds that many people live in between these two worlds, but are afraid to voice their views. He offers chizzuk and validation for those people. He himself has a hard time fitting into a narrow label. Growing up, he was exposed to diversity, and he feels that his essential hashkafa hasn’t changed since his yeshiva days. While the frum community has undergone certain changes, Rabbi Adlerstein strives to provide an authentic Torah view that he acquired from his rabbeim. The two mentors who inspired Rabbi Adlerstein’s love for Torah thought were Rabbi Nachman Bulman, z”l, and Rabbi Aryeh Kaplan, z”l. Rabbi Bulman would introduce his students to sefarim which they weren’t learning in yeshiva, broadening their horizons and teaching them to deal with diversity. Rabbi Adlerstein hopes he is doing the same for his own students. he feels that his essential hashkafa hasn’t changed since his yeshiva days? can the Rav give us a example?